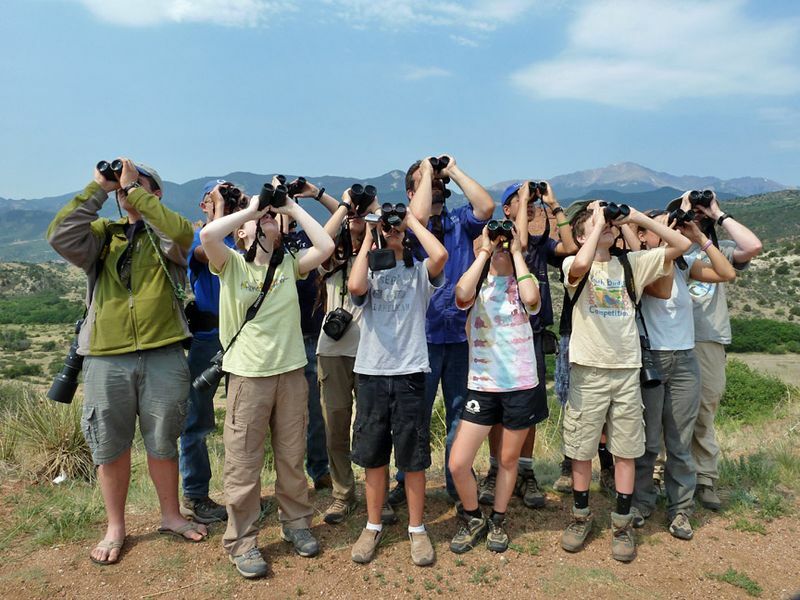 I wanted to report on last week’s successful ABA Camp Colorado, which gathered 10 talented young birders from every time zone in the lower 48 states and as a bonus, Costa Rica! 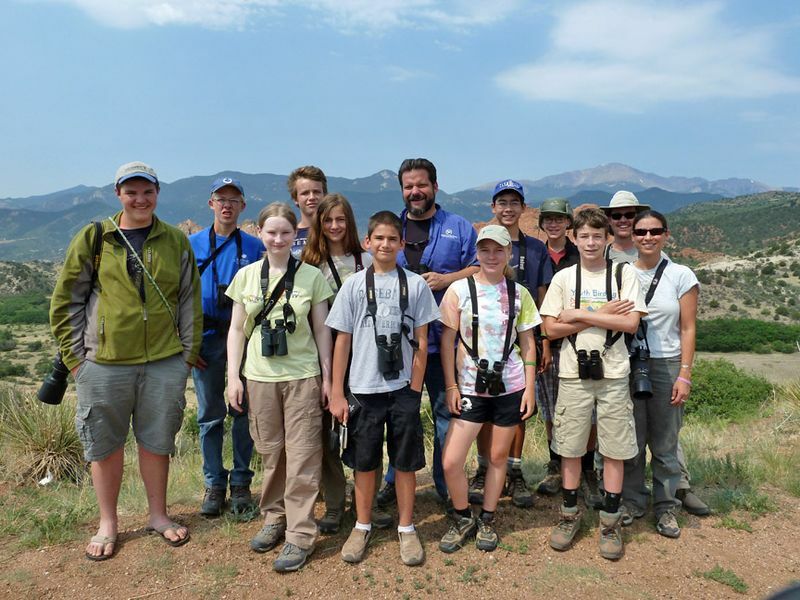 It was a pleasure and a privilege to be a counselor again for an ABA Young Birder camp (I coordinated field trips for the 2006 iteration in Ft. Collins, Colorado.) I was joined by the multi-talented Jennie Duberstein, a veteran of many young birder camps for the ABA and Rocky Mt. 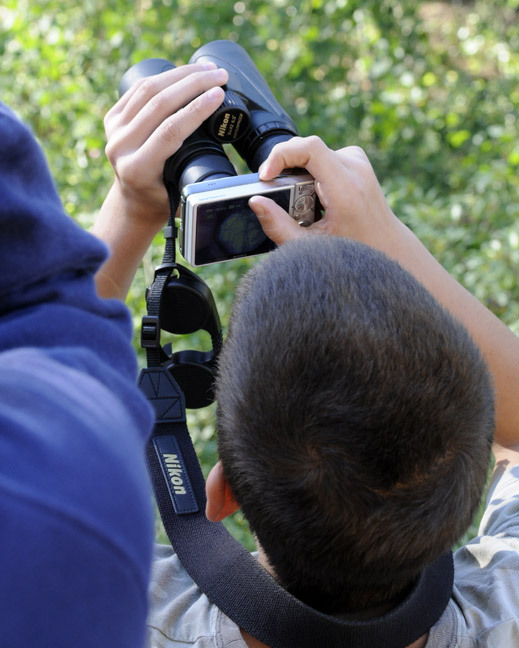 Bird Observatory, other ABA Young Birder functions such as advising A Bird’s Eye View, and Education & Outreach Coordinator for the Sonoran Joint Venture. We also benefited from the knowledge and support of Carolyn Barnwell, Catamount’s 2011 Heather Campbell Chaney Environmental Fellow. Carolyn kept the home fires burning while we were on field trips and led many ice breaking, team-building, and outdoor education activities at camp. Our week was planned and coordinated by Chip Clouse, the ABA’s Education Director. Thanks, Chip!! 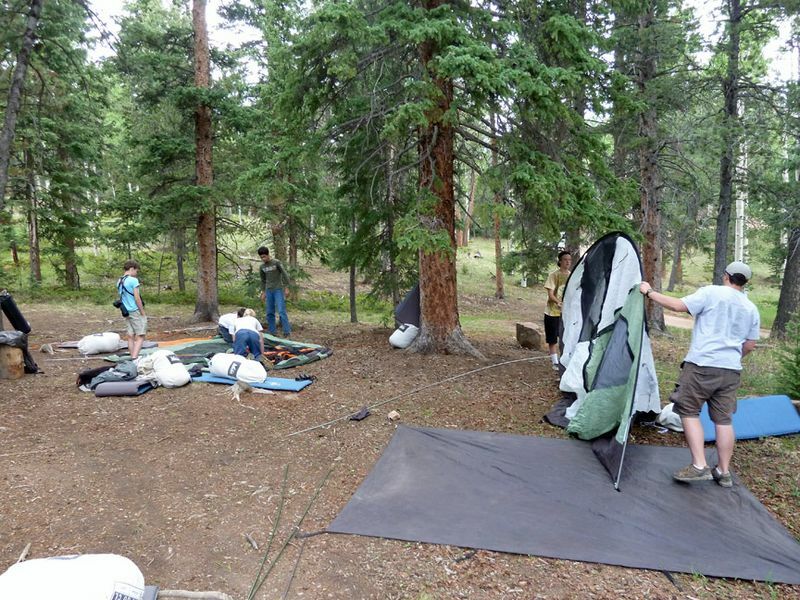 2011 Camp Colorado Participants @ Garden of the Gods Park (Pike’s Peak visible in distance). Back Row (from left): Kyle Huffstater (CO), Landon Neumann (IN), Scooter Finney (GA), Jeff Gordon (ABA President), John Rogers (CA), Laramie Aspegren (Costa Rica), Bill Schmoker (counselor, CO). Front Row (from left): Sarah Toner (MI), Anya Auerbach (NY), Alex Haun (LA), Autumn Young (OH), John Mark Simmons (GA), Jennie Duberstein (counselor, AZ). We were based at the beautiful mountain campus of the Catamount Institute, under Pike’s Peak’s north slopes near Woodland Park, about an hour up into the mountains from the ABA headquarters in Colorado Springs. 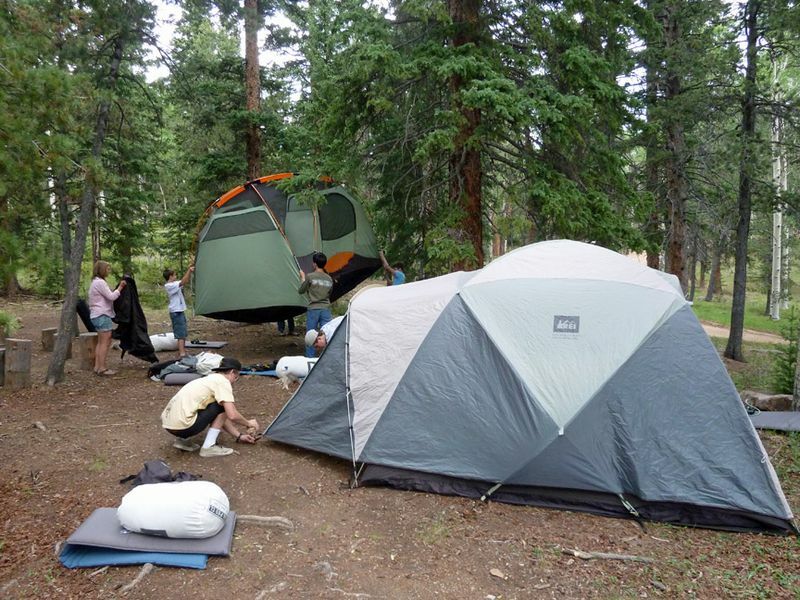 In true summer camp tradition we lodged in tents but weren’t roughing it too much with a nearby lodge for cooking, dining, & group activities and hot showers in an adjacent bath house. Our “neighborhood” had nesting Williamson’s Sapsuckers, White-breasted Nuthatches, Tree & Violet-green Swallows, Mountain Chickadees, and Red-shafted Flickers in the mature aspen trees interspersed among Douglas-fir, ponderosa, and lodgepole pines. A pair of small mountain lakes opened up the scenery a bit and rewarded one pre-breakfast birding expedition with a look at a swimming black bear! We had an amazing week visiting a diverse sampling of habitats within a few hours of camp in every direction, ranging from alpine tundra to shortgrass cholla prairie and about everything in-between. Chip not only lined up fantastic destinations for each day of camp but also arranged for a different A-list guest leader or speaker to join us every day of the trip. We began our first full day of camp, Sunday 26 June, with a mini course by Chip in fire ecology and visited the Hayman Burn, which in 2002 became the state’s largest wildfire. Highlights of the day included Evening Grosbeak and Type II Red Crossbill. We also participated in atlasing for Colorado’s second breeding bird atlas, confirming breeding by many species in a block near camp. We concluded with a wonderfully informative and thought-provoking talk about creatively birding by ear by Alison Kondler. 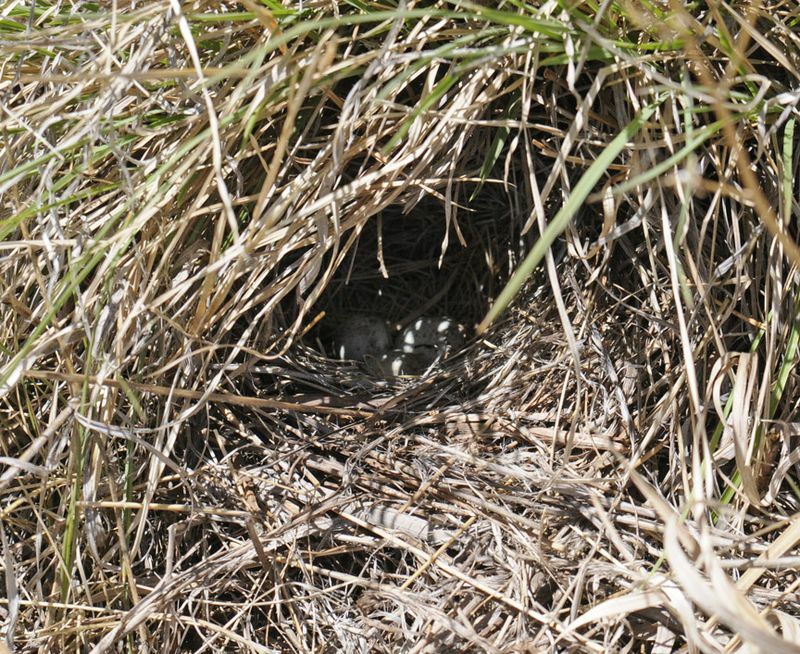 Vesper Sparrow nest found on the Colorado Breeding Bird Atlas II block we worked- first confirmation for the block! Monday found us on the road to the historic mining town of Victor, Colorado where we began the 30+ mile descent of Phantom Canyon, a former railroad route from the Arkansas River Valley up to the Victor/Cripple Creek mining district. Memorable sights included cooperative Red-naped Sapsucker and Green-tailed Towhee, a tricky MacGillivary’s Warbler or two, and the extended antics of a long-tailed weasel hunting ground squirrels. From the outlet of Phantom Canyon we proceeded down river to our scheduled private tour of the Pueblo Nature and Raptor Center. Besides the captive birds we also had nice studies of Canyon Towhee and Black-chinned Hummingbird. We wrapped up the day’s scheduled activities with a visit to the John Deaux Gallery where bird artist Radeaux gave us a behind-the-scenes tour and lots of insight into the artistic processes he uses to produce his distinctive avian art. 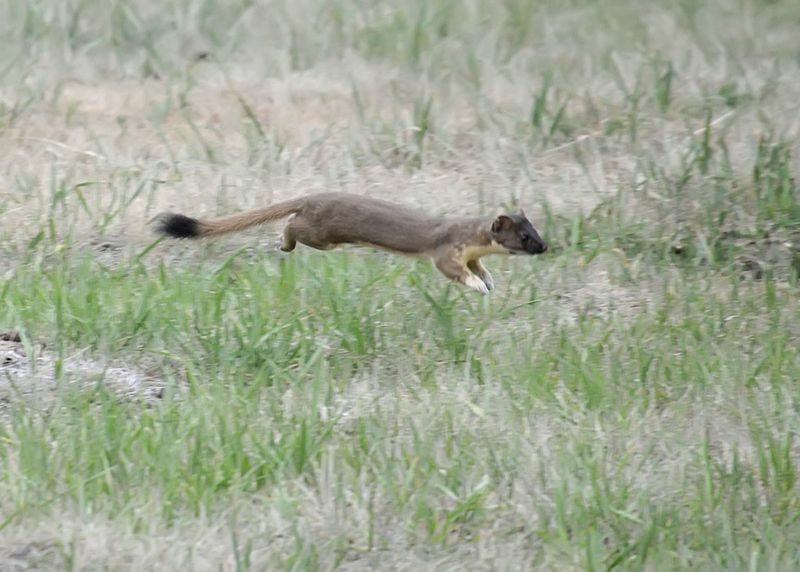 Long-tailed Weasel, Skagway Reservoir, Colorado. 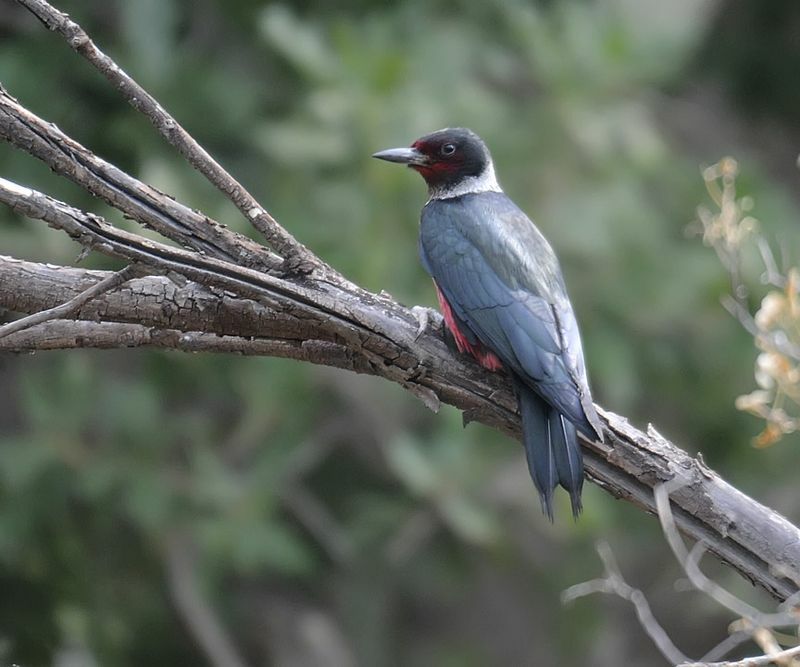 Alex digibinning a Red-naped Sapsucker in Phantom Canyon. Lunchtime hijinks led by Jennie Duberstein, Phantom Canyon, Colorado. Tuesday’s focus was a trek to the San Louis Valley, a nearly New Jersey-sized high mountain valley along the upper Rio Grande River & home to the Great Sand Dunes. We were joined for the day by Ted Floyd (editor of Birding Magazine) and birded various habitats including piñon-juniper, wetlands, and sage shrublands. 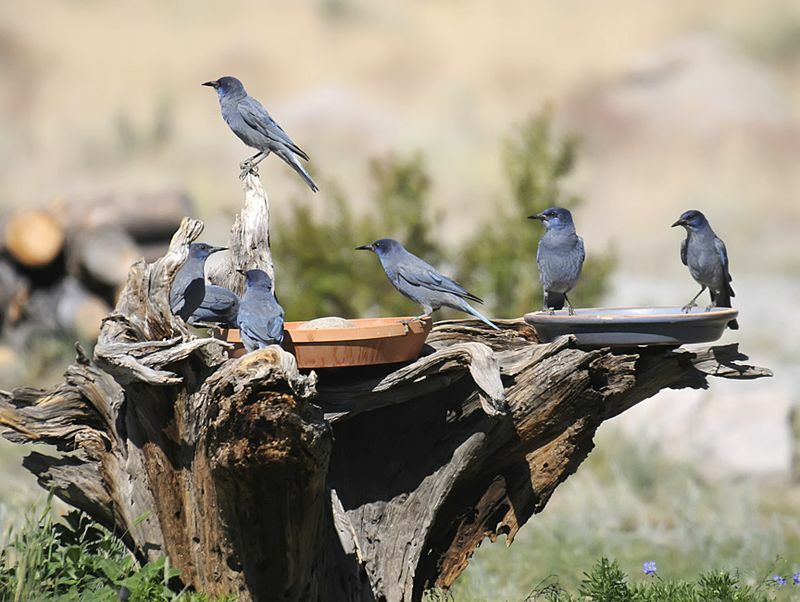 Pinyon Jay, Black-throated Gray Warbler, and Gray Flycatcher were high on everyone’s lists as were Sage Sparrow and American Bittern. A stop on the way home for pizza also produced a young American Dipper being fed by an adult along the Arkansas River in Salida. 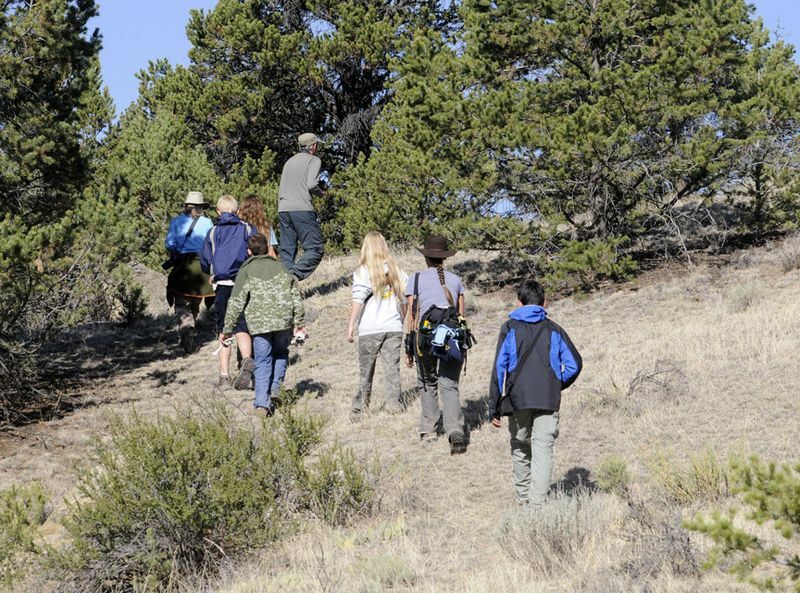 Ted Floyd leading campers through Piñon/Juniper Habitat. Lewis’s Woodpecker, Ft. Carson, Colorado. 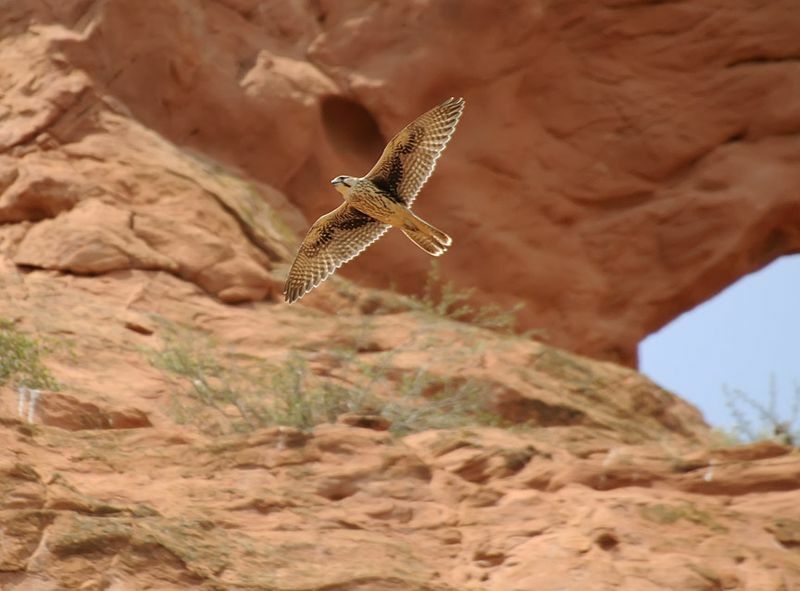 Prairie Falcon, Garden of the Gods Park, Colorado. Thursday was our high elevation day, with subalpine forest, high elevation riparian, and alpine tundra as featured ecosystems. 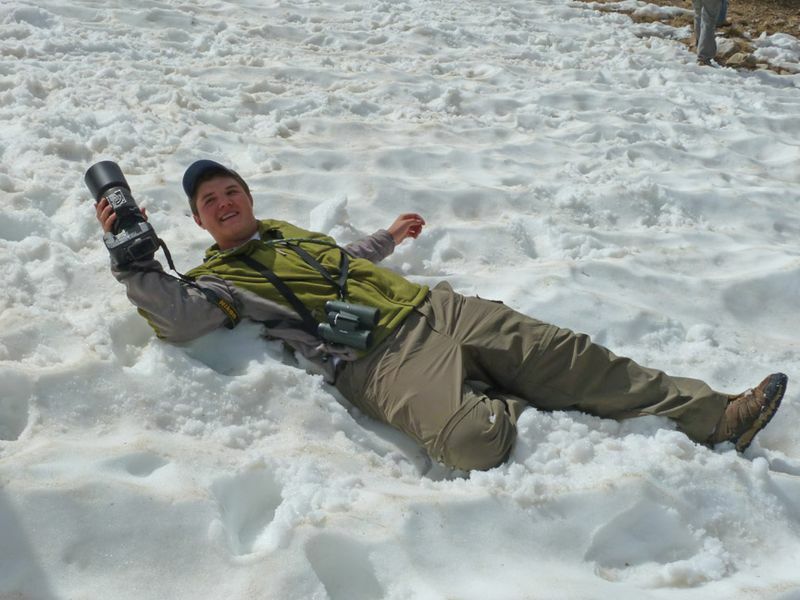 We were joined by Nikon’s Birding Market Specialist (and ABA Young Birder Camp alumnus) Mike Freiberg, who guided us as high as about 12,500 feet on the slopes of Mt. Democrat. Slate-colored Fox Sparrow, Wilson’s Warbler, and Brown-capped Rosy-Finch all gave nice looks as did the expected yellow-bellied marmots. More surprising was a group of three moose with antlers just budding out, seen lounging on the tundra high above timberline. An exhilarating change of weather brought by a thunderstorm dropped the temperature to 40° and peppered us with ice pellets as we made our way back down the mountain- a true alpine experience for us all! On our way back to camp we visited Antero Reservoir in South Park, viewing breeders such as Clark’s & Western Grebes, California Gulls, and White-faced Ibis. We also had the mother of all rock skipping sessions! The end to the long day was a very well-received sketching workshop by naturalist Greg Carlson, caretaker of the camp and accomplished nature artist & illustrator. Down but not out! Kyle demonstrates camera preservation technique as he slips in the snow. 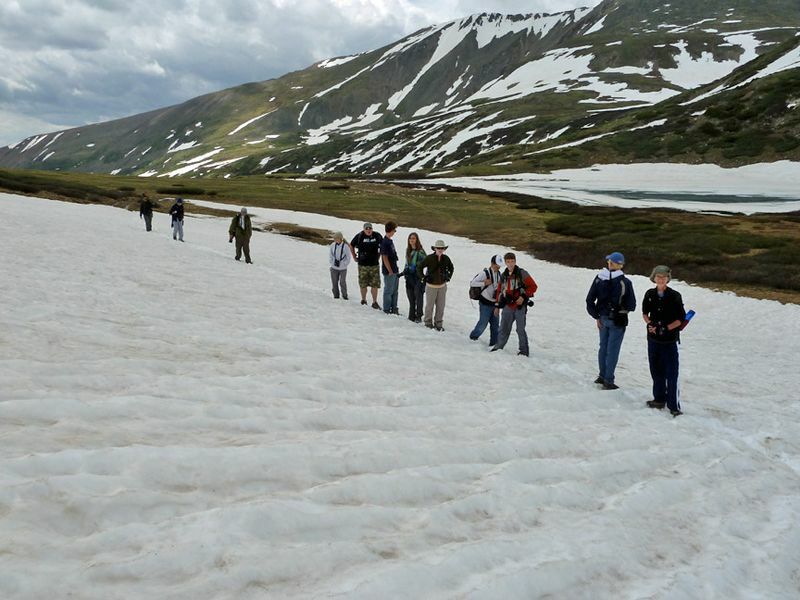 Camp Colorado participants in search of Brown-capped Rosy-Finches on the slopes of Mt. Democrat. Riding the storm out, heading down from Mt. Democrat. 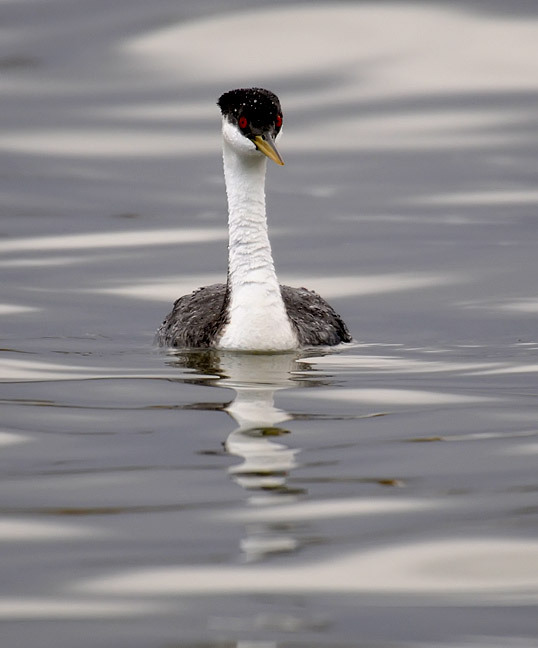 Western Grebe, Antero Reservoir, Colorado. Our last full birding day was Friday, 1 July. We descended to the Chico Basin Ranch, joined by Bill Maynard (past editor of Winging It and current author of ABA’s Peeps blog.) 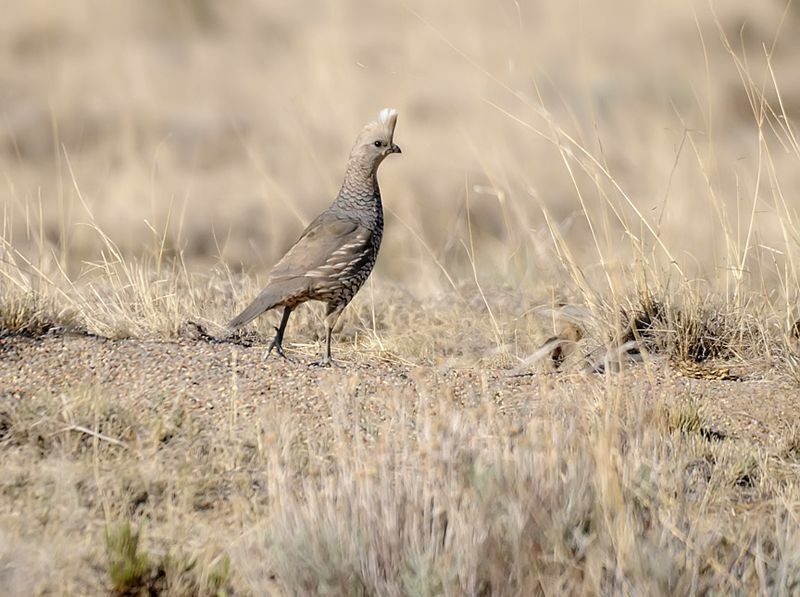 Here we enjoyed shortgrass cholla prairie birds such as Scaled Quail and Curve-billed Thrasher. 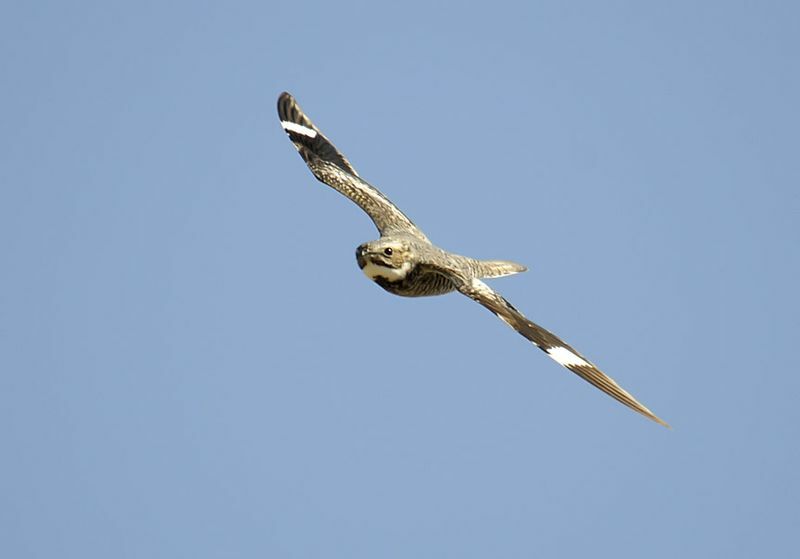 The ranch’s riparian groves held treats such as Barn Owl, Yellow-billed Cuckoo, and hordes of Common Nighthawks. From Chico Basin we repaired to the Manitou Experimental Forest near camp where we met Dr. Brian Linkhart of Colorado College. Dr. Linkhart is undoubtedly the world’s leading researcher of Flammulated Owls and he led us to an active nest where we saw the female peek out and later viewed three chicks via a pole-mounted “peeper” cam. His discussion of his team’s ongoing studies of this cryptic, secretive species provided insight not just into the specific bird but more generally into the nature of current bird research techniques. Common Nighthawk, Chico Basin Ranch, Colorado. Scaled Quail near Chico Basin Ranch, Colorado. Birding Chico Basin Ranch, Colorado. 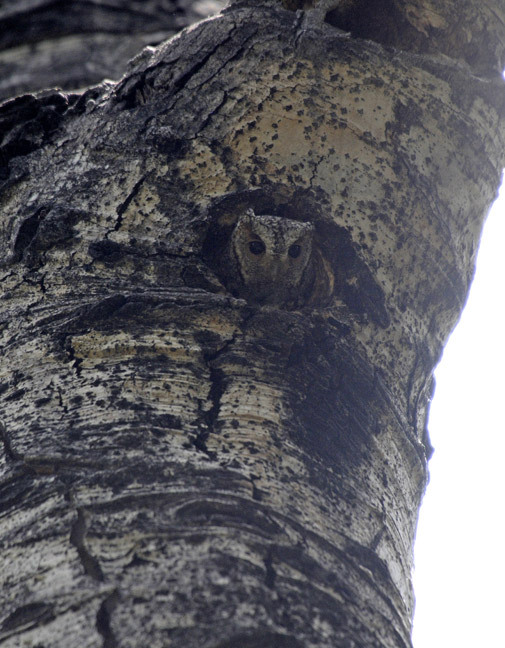 Flammulated Owl, Manitou Experimental Forest, Colorado. Flammulated Owl nest visit with Dr. Brian Linkhart of Colorado College. 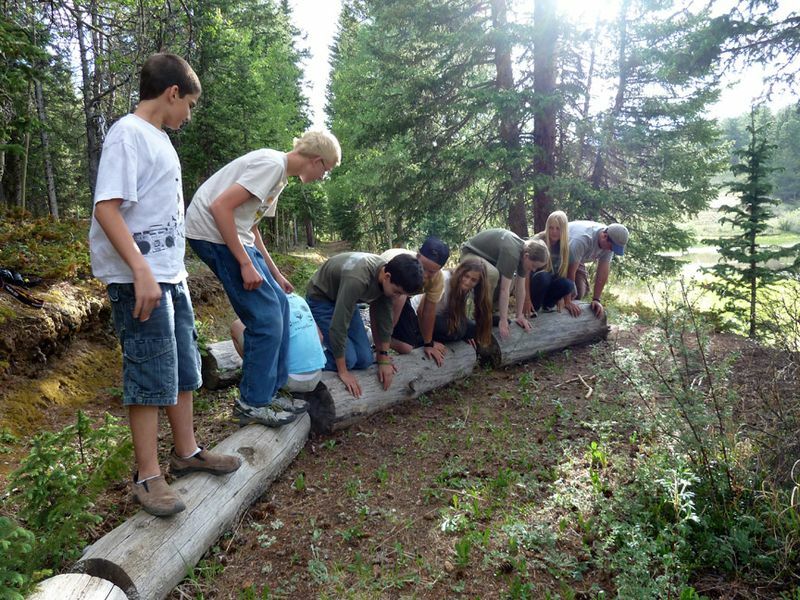 I would like to thank Chip Clouse for inviting me to participate in this year’s Camp Colorado- it was such a treat to bird with kids who were so energetic, enthusiastic, knowledgeable, and skillful. The week flew by in testament to the fun we were having, with everyone getting along and helping each other. Despite our early morning (generally 05:30 or 06:00) roll-outs there was never a single time we had to wait on someone and some of the kids were even up for pre-breakfast birding (though not this worn-out counselor!) Sarah, John, Kyle, John Mark, Landon, Laramie, Autumn, Anya, Scooter, and Alex deserve the main credit for the fantastically successful week of birding. I would also like to thank our suite of guest leaders and speakers who made the week ever the richer with their varied styles, skills, & knowledge. I know I was learning stuff every day, even though I’ve lived in the state since 1976! I hope I get the chance to participate in an event like this again sooner rather than later.